Come visit, Best in Travel’s #1 city for 2018…Seville, Lisbon, Gibraltar and more! 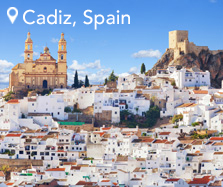 A perfect vacation to experience unique cultures, sightseeing the most beautiful architecture and give your best go at flamenco dancing. Cruise up the Guadalquivir River while relaxing on the deck of your yacht to visit the Cathedral de Seville, home of Columbus’ tomb. 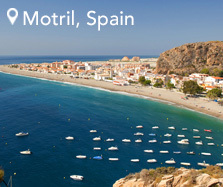 This is just one of the ways you can enjoy your SeaDream experience in Spain. Take in a Piano Recital by renowned Gibraltarian pianist Aaron Monteverde in the Mons Calpe Suite at the top of the Rock, just another possibility while on SeaDream. What does your unforgettable SeaDream moment look like? Share by using #SeaDream. Stay up-to-date with the latest SeaDream Yacht Club news & announcements with Yacht Mail. Become a member of our e-newsletter to receive exclusive information about the SeaDream Yachting lifestyle and notifications of special offers and promotions when they become available.